Exhibition in Braunschweig, June–August 2018. 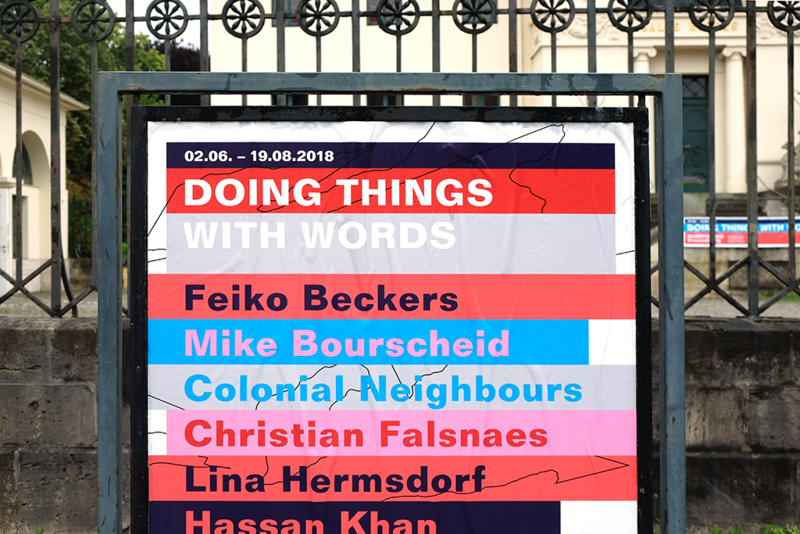 The group exhibition DOING THINGS WITH WORDS presents, explores and questions current trends in language- and performance-based art works. The invited artists share a particular interest in embodied speech that is inseparably tied to the movements of the performer and visitor. Against the background of the much quoted speech act theory „How to Do Things with Words“ by J. L. Austin, published in 1962, the works in the show approach various themes relating to how words and the world affect each other: how what is said ends up forming society and its structures, in turn, influencing the ways that it is described? Where do we locate the boundary between theatrical and performative speech acts and their promise of authenticity? 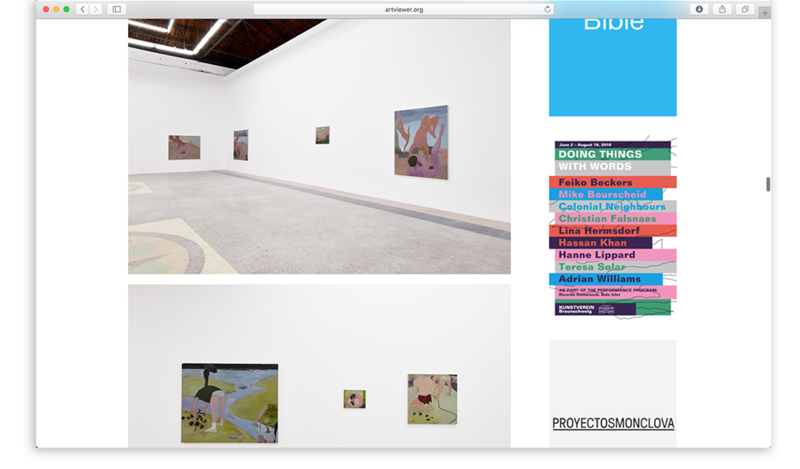 Which strategies do artists deploy when language reaches its limits as a commonplace medium of understanding? What can be heard in the margins of what is said and how might an idea that lies beyond the utterable be presented? Influences from spoken word poetry are as evident as sculptural encounters with various forms of communication. The exhibition will be accompanied by a performance program.